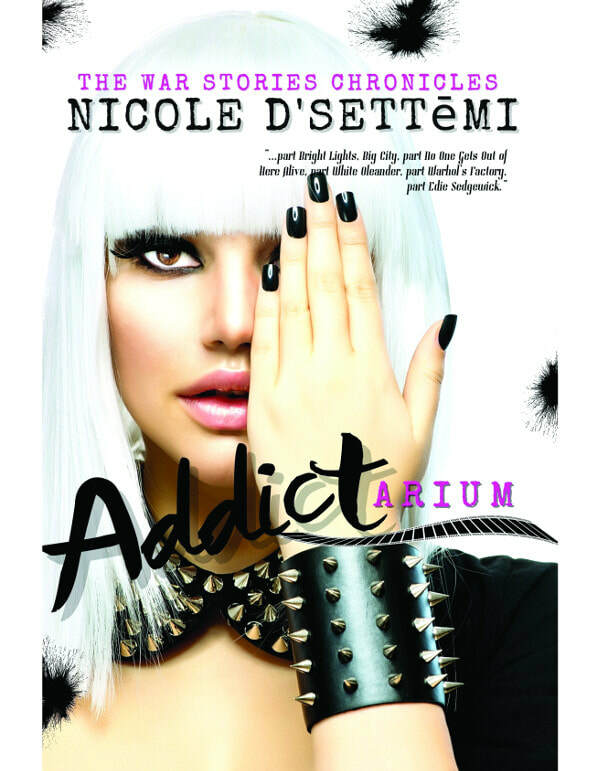 Addictarium by Nicole D'Settemi is on virtual book tour. The memoir stops at Readeropolis with a book trailer. Be sure to enter for a chance to win the giveaway for a personalized gift basket (including a signed 8x10 from the author and memorabilia) and follow the Silver Dagger book tour (for other dates see the link at the bottom of the post). The book cover is certainly eye catching. Thank you, I appreciate the kind words and support immensely! I think the use of white space and the boldness of the graphic makes the book cover pretty eye-catching.